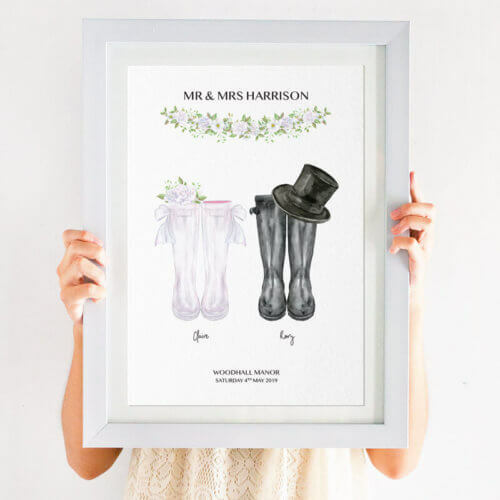 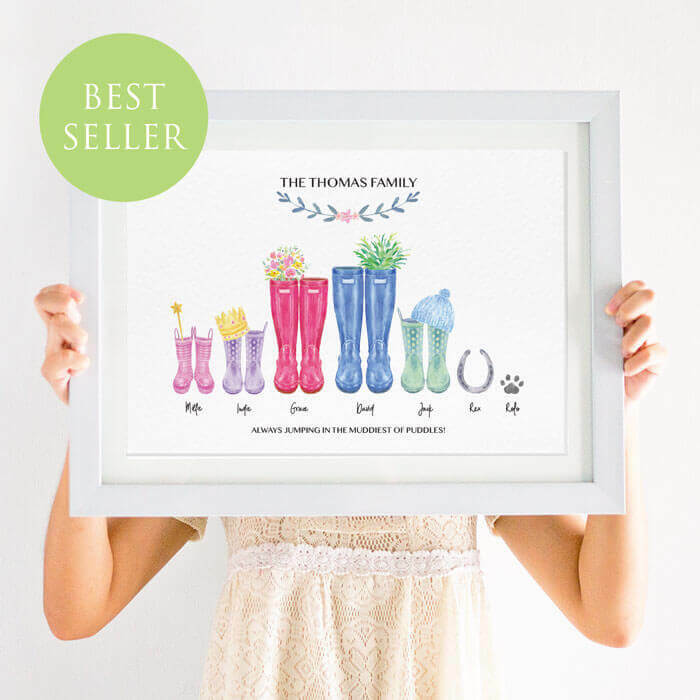 This personalised welly boot family print is totally customisable. 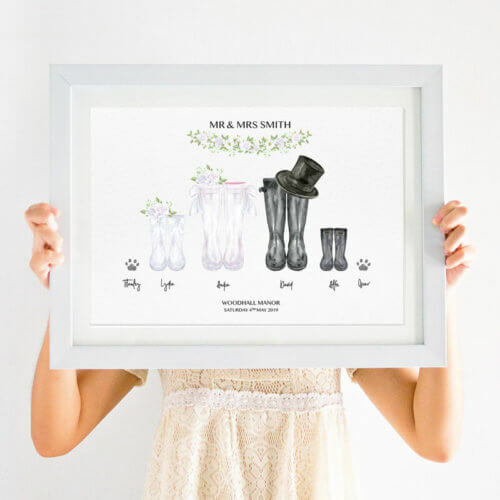 Simply choose the wellington designs that best represent each family member, don’t forget to include your pet! 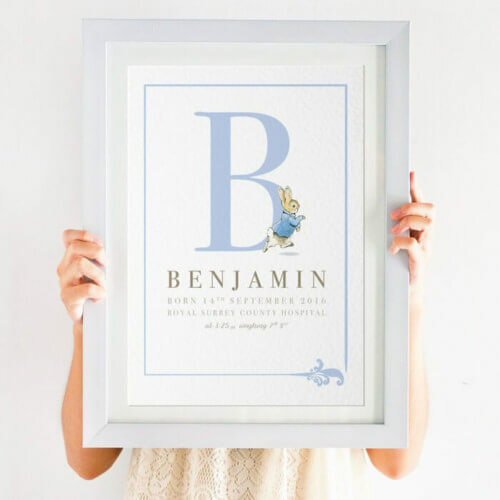 This Personalised Peter Rabbit New Baby Print comes in a variety of colour options, and makes a unique newborn gift for boys or girls. 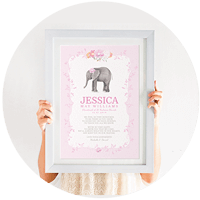 Find fantastic gift ideas for families and individuals with a pinch of fun and personality to appeal to all audiences. 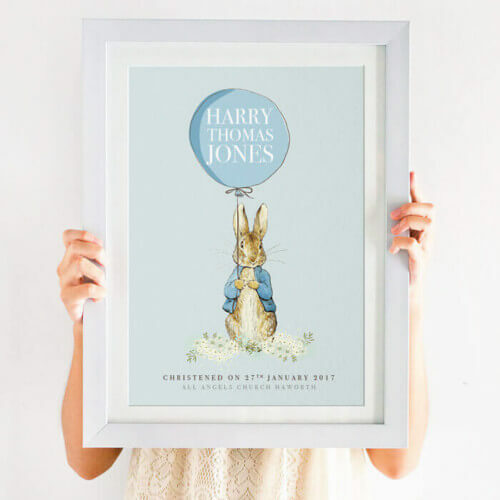 Unique gift ideas for the most special people in our lives, all designed and created in the UK. 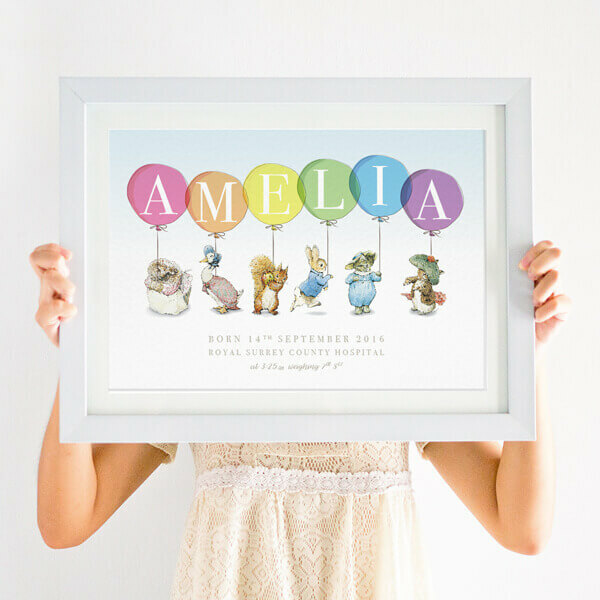 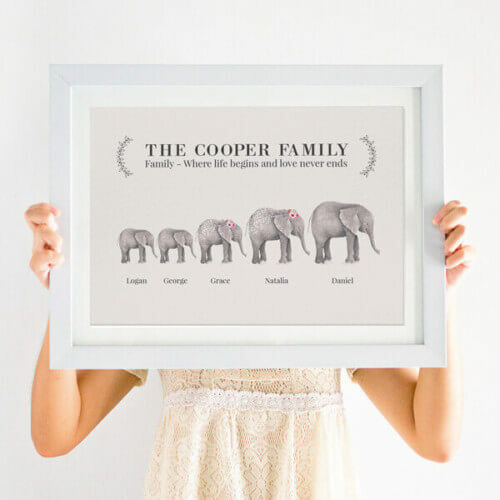 Our personalised prints and keepsake gifts all have one thing in common, they have all been designed with love, with premium quality materials and have the wow factor.